As I always say, there is no better way to experience the raw beauty of nature than to do it by a good hike. 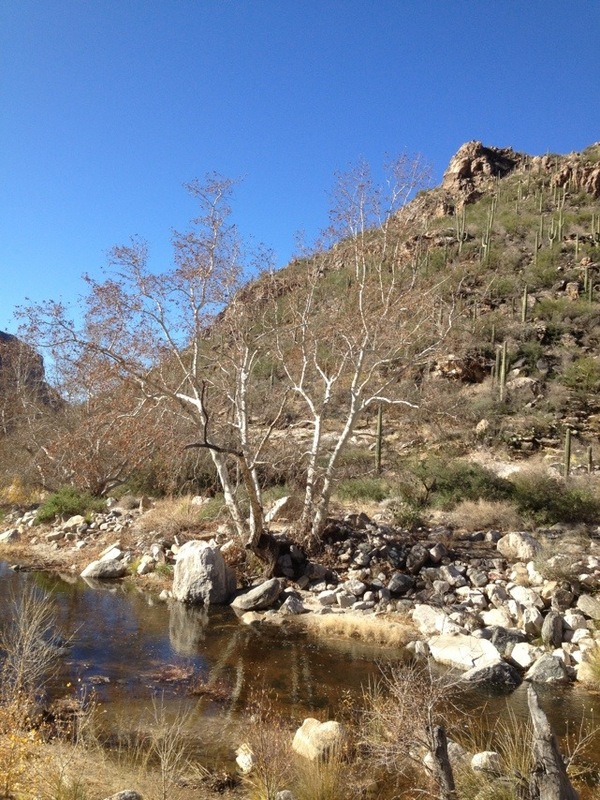 Sabino Canyon is just one of those places. It is achingly beautiful and perhaps one of the most stunning places in all of southwestern Arizona. 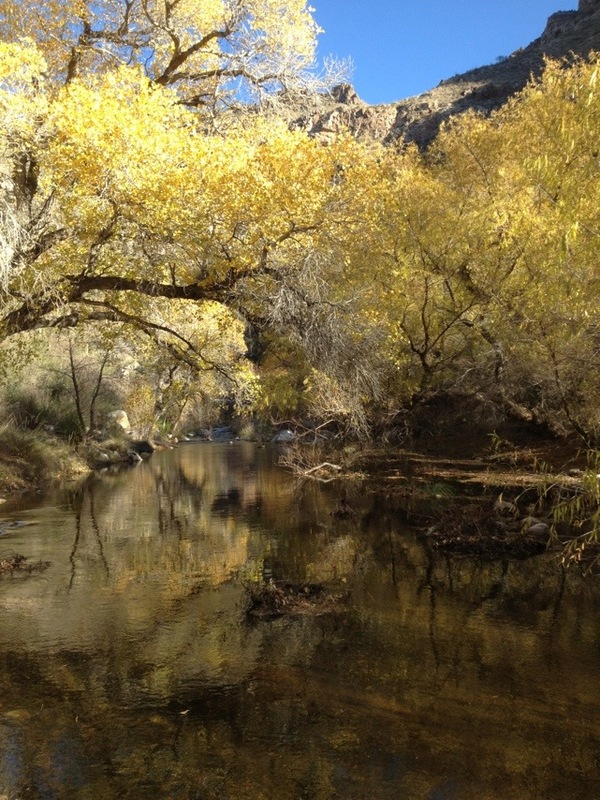 Nestled in the southeastern foothills of Tucson, Arizona in the Santa Catalina mountains, Sabino Canyon is a true gem. The formation of these mountains began over 12 million years ago, long before the first sign of man. Over time, a significant canyon formed that would eventually turn into a lush, verdant desert oasis deep inside the canyon. A massive earthquake in 1887 centered in Northern Mexico caused even more change to the canyon. Massive boulders dislodged and crashed down thousands of miles below creating an even more dramatic landscape. 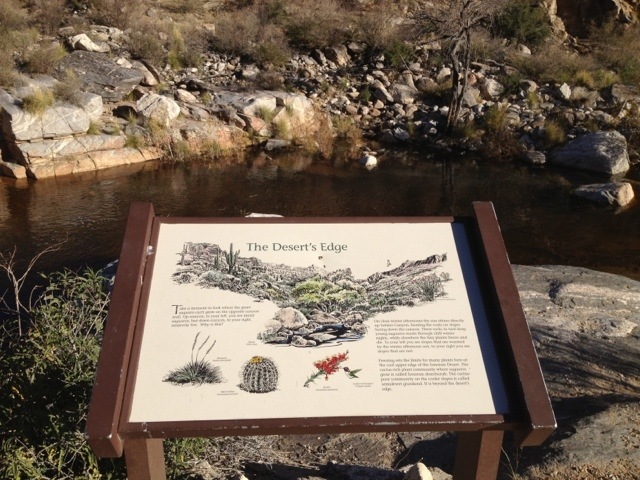 In 1905, the U.S. Forest Service was created and took over the administration of Sabino Canyon. Nothing much happened to the area until the 1930s. 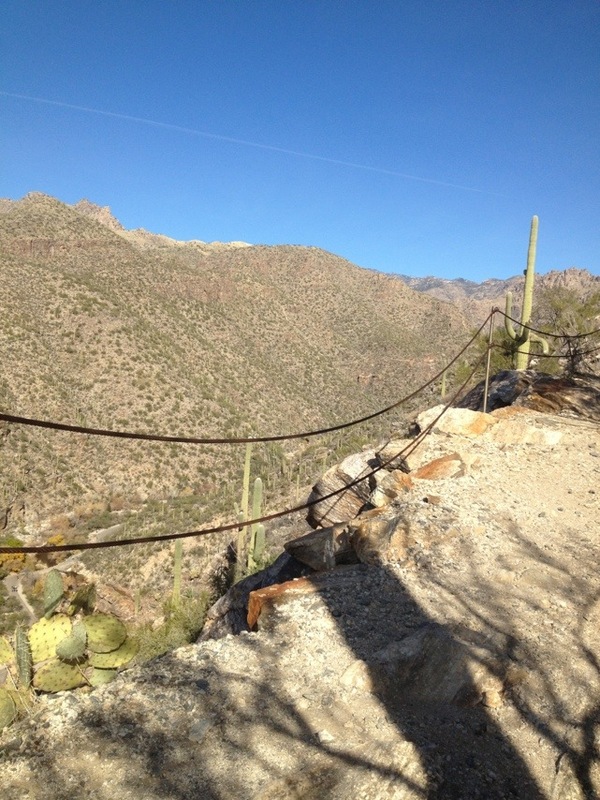 The onset of the Great Depression prompted the US Government to put people to work by building infrastructure and one of the places that benefited was Sabino Canyon. 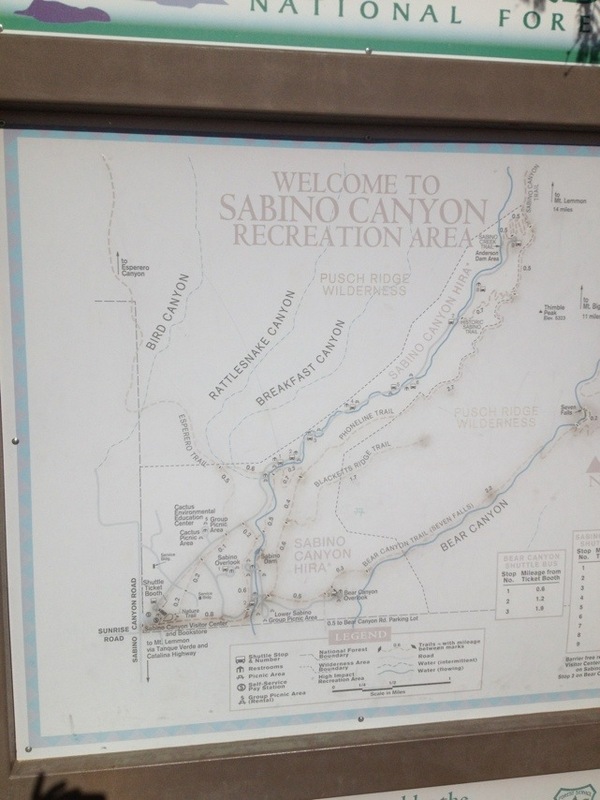 The Sabino Dam as well as over nine bridges were built during this time, creating a 4.5 mile paved road up through the canyon. 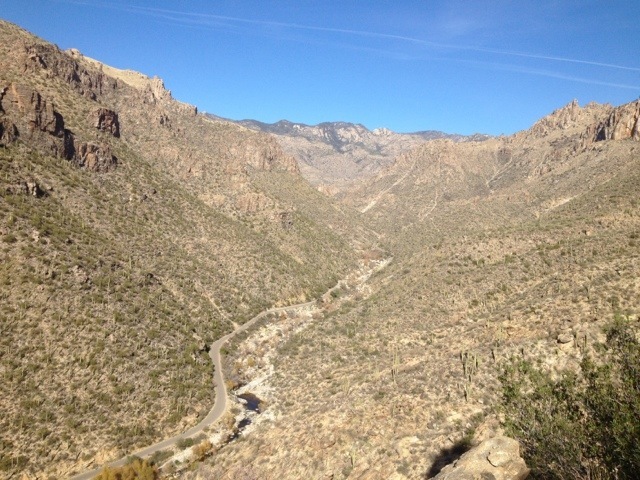 Plans had been made to continue the road all the way up the canyon up to Mount Lemmon but fortunately they ran out of money and the project was dropped. 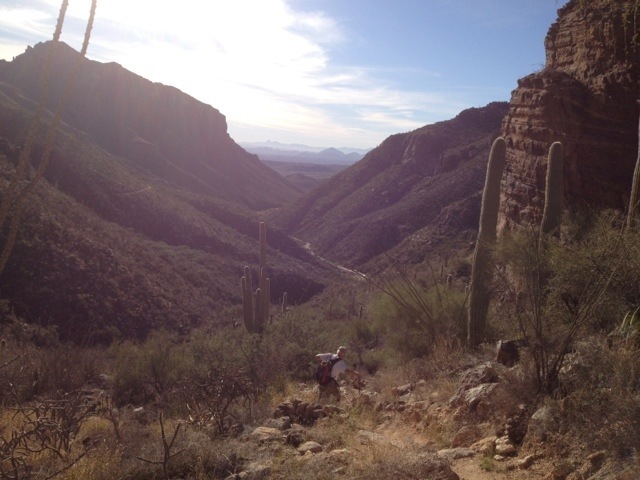 Had the road been built, the entire beauty of Sabino Canyon would have been destroyed and lost. 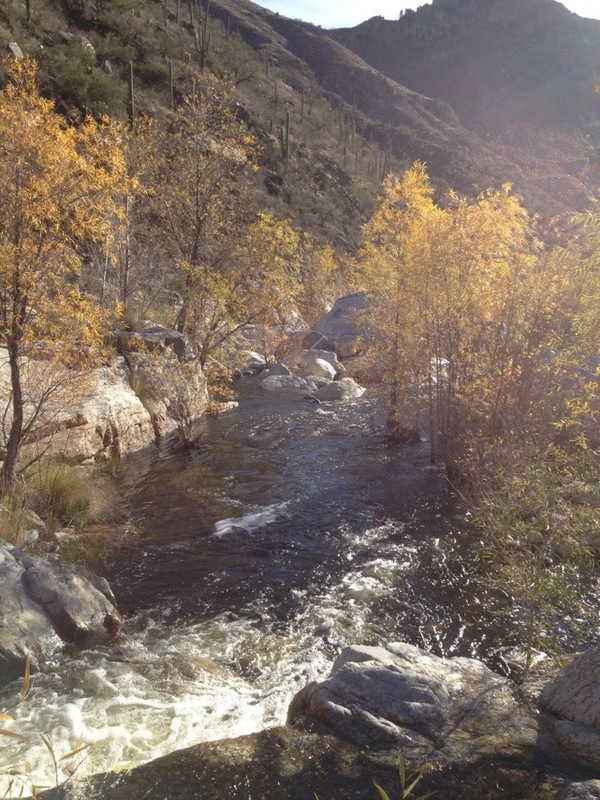 Sabino Canyon officially opened as a State Park and recreational area in 1978. 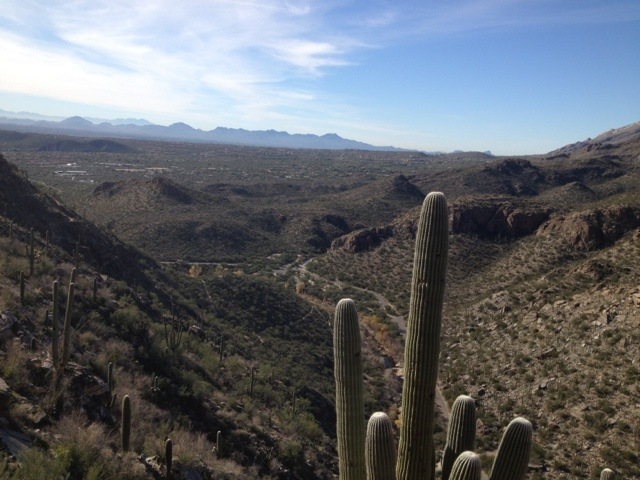 Today, it ranks one of the top tourist destinations in all of Tucson and is a haven for hikers, walkers, bikers and anyone else who wants to enjoy its raw beauty. A tram service runs daily every half an hour up the canyon and back. 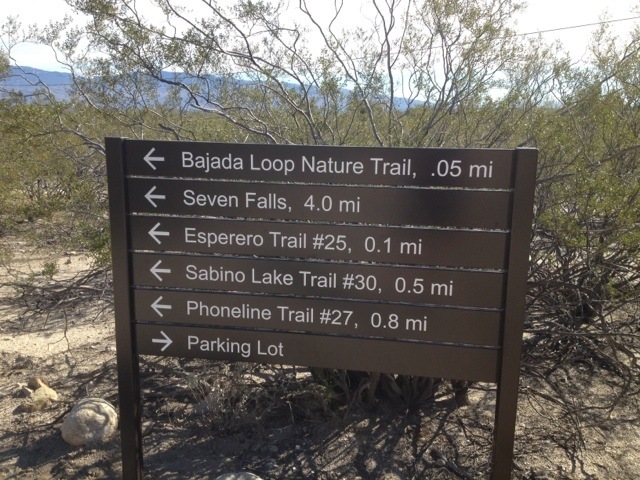 For only a few dollars, you can ride along and listen to an informative narration on the history, geology and flora and fauna of Sabino Canyon. This is a great thing to do as a family and of course we have done it many times. 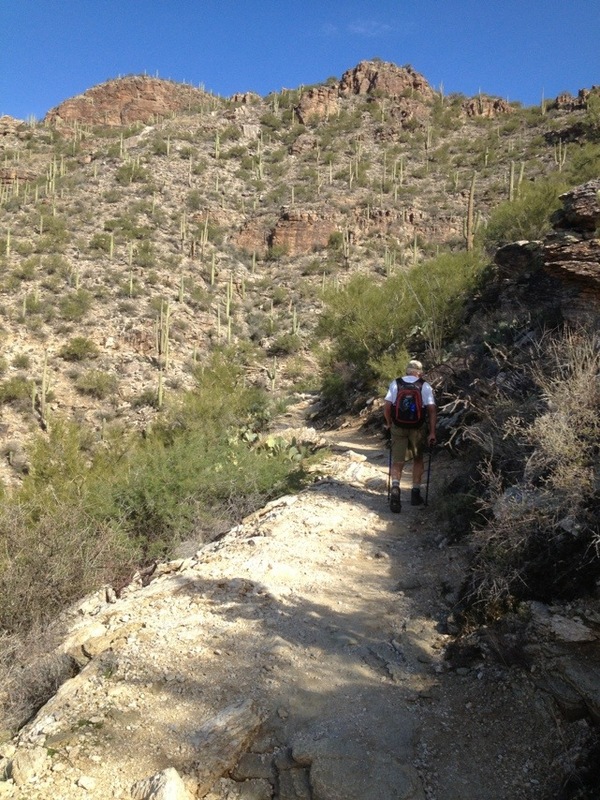 However, the best thing to do in Sabino Canyon is to get out there and experience it firsthand with a hike. 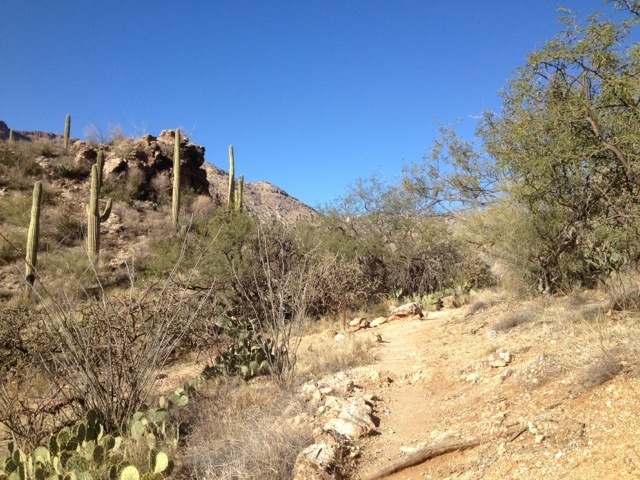 There are several hikes in Sabino Canyon and over the years I’ve done many of them. 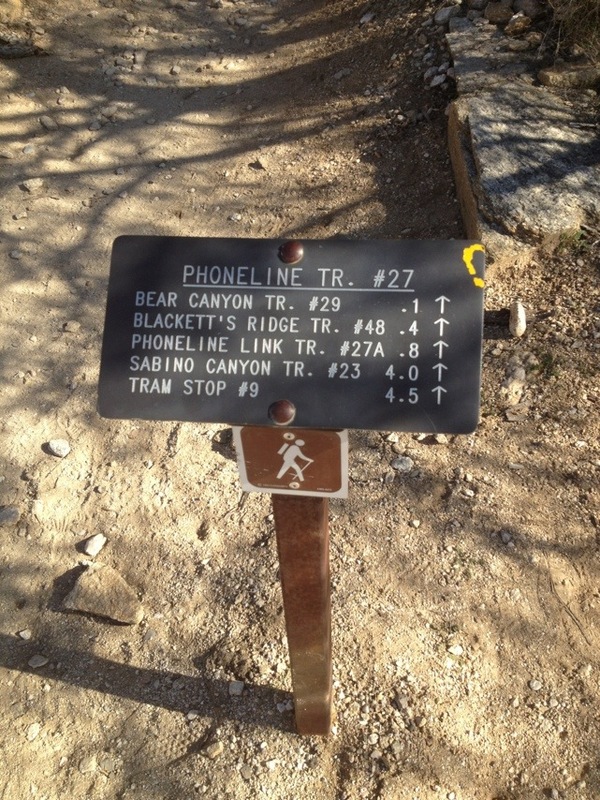 However, my most favorite hike of all is called The Phoneline Trail, which is about an eight mile round trip hike, located about two-thirds of the way up the canyon, giving you a bird’s eye view of this spectacular place. The start of the trail is flat but not for long. 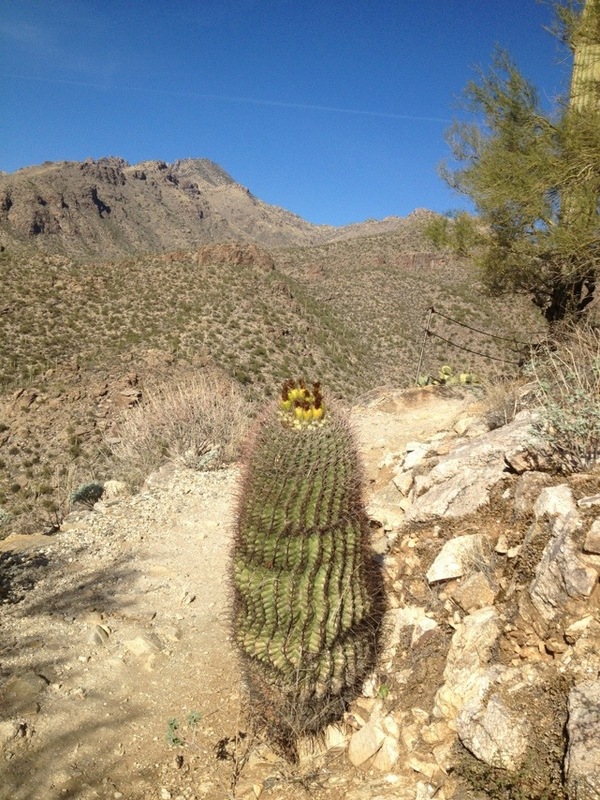 There are many types of cacti found throughout Sabino Canyon. The Saguaro Cactus is perhaps the most well-known. It takes on average 65-70 years for this cactus to grow an arm. They also can live for over 200 years! What also is amazing about the Saguaro cactus is its root system. Saguaro’s roots only go down about twenty inches deep, however, the roots spread out as wide as they are high. Pretty unbelievable! After a mile or so of flat walking, it is time to climb up! It is best to be prepared with tons of water, hiking polls, lots of sunscreen and of course extra stamina. It is not uncommon to see college aged kids running up the trail! I even saw some people running barefoot. Crazy given all the rocks and obstacles. Soon the hike leads you gradually and then steeply up the side of the canyon walls. My favorite barrel cactus which bloosom beautifully in the springtime. Finally after a couple of hours hiking we are nearing the top of the hike where the Phoneline Trail flattens out and you basicaly walk along the edge of the canyon. 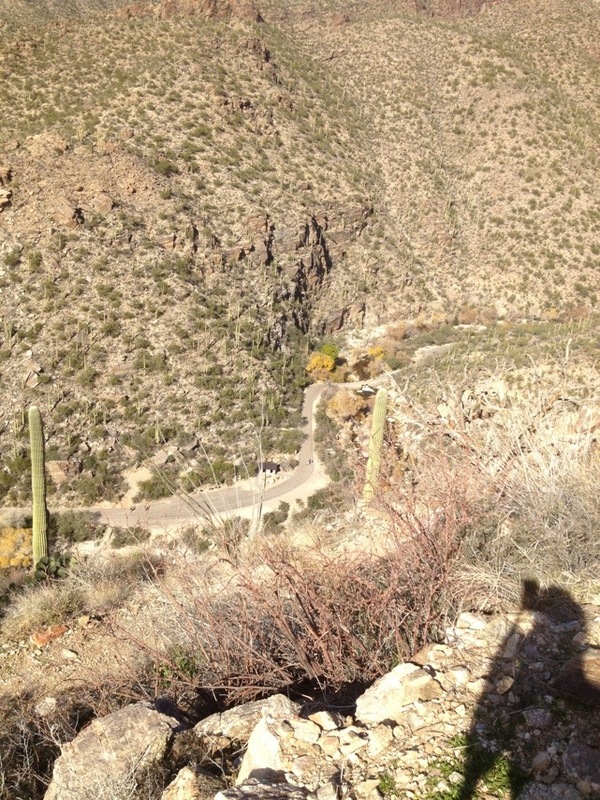 Down below is the paved trail which is another option for seeing the canyon. But I prefer to view from up top! 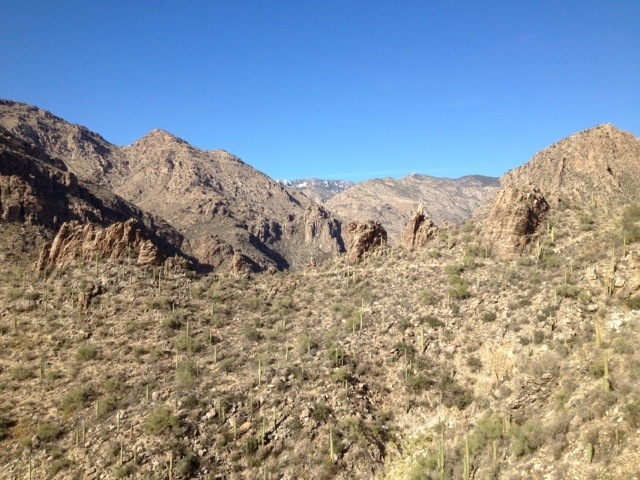 At the end of the canyon in back is Mount Lemmon, a beautiful area that hosts many pine trees as well as a ski resort. 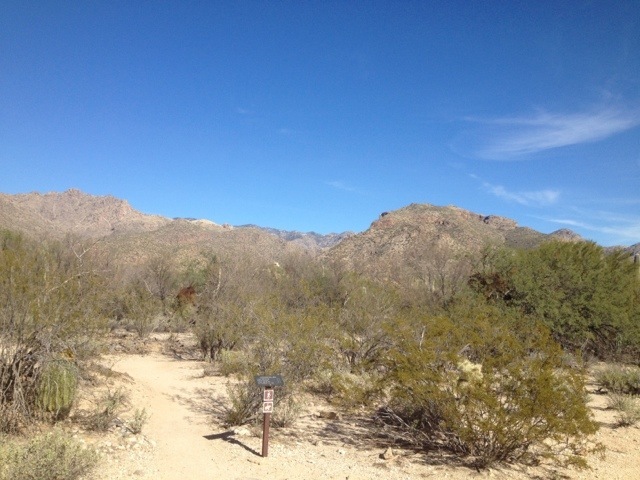 Sabino Canyon is home to a wide variety of wild life including the elusive mountain lion, bobcats, ocelots, skunks, foxes, deer, javalinas, raccoons and coyotes. They also have lots of different kind of venomous and non-venomous snakes (I’ve seen a rattlesnack but not on the trail) as well as scorpions and tarantulas (yes, unfortunately I’ve seen these two things yet at my parents house! Not on the trail!). I only wished this photo could have turned out better but we were hiking right into the sun. I have never seen the canyon as verdant as this in December. It was simply spectacular. Who would have ever imagined a desert could be so green? It is even better in March and April when the brilliant desert flowers are in bloom and the green is a vibrant lime-color that almost hurts your eyes. There has been a ton of rainfall and snow in the upper mountains causing the streams to flow with force. 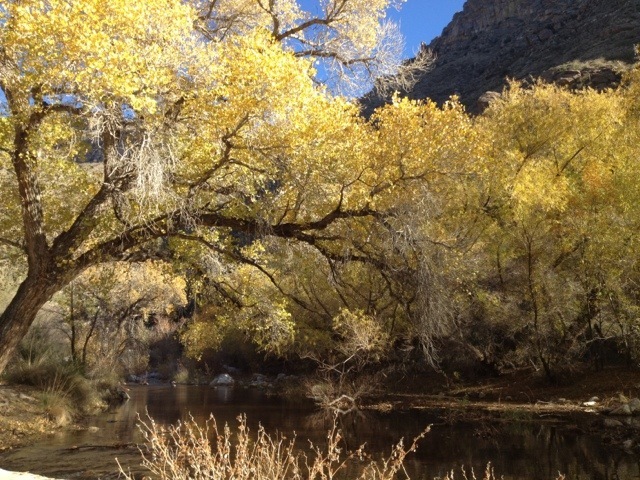 The Canyon also has an ample and diverse supply of beautiful trees such as the Cottomwood (in this picture, which still has its golden leaves on from the fall), the white-barked sycamore trees, and the dark-wooded mesquite trees. Another favorite is the Palo Verde tree which means “Green Stick” and has green bark and green leaves. The white-barked tree in back is an Arizona Sycamore. The bark is lovely. 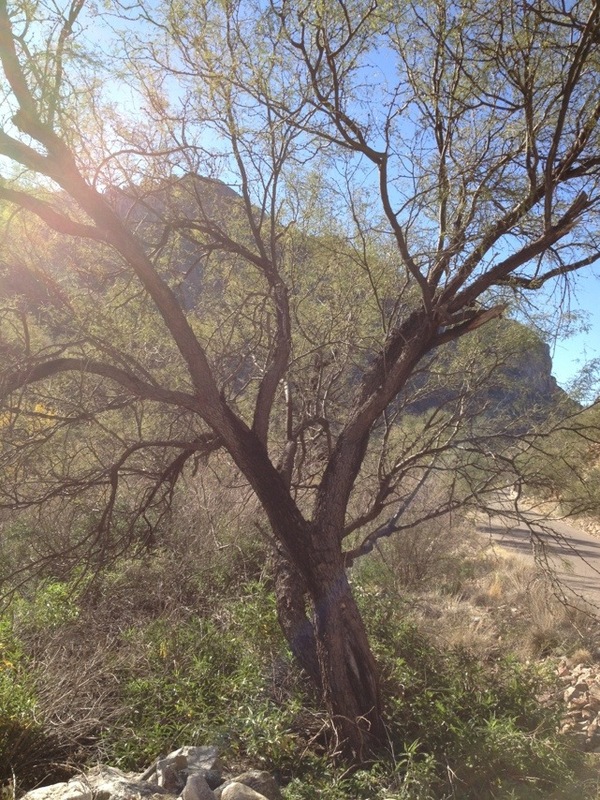 This is a mesquite tree which proves great firewood as well as a food source for many animals within the canyon. The tree produces bean pods which are enjoyed by many small canyon critters. 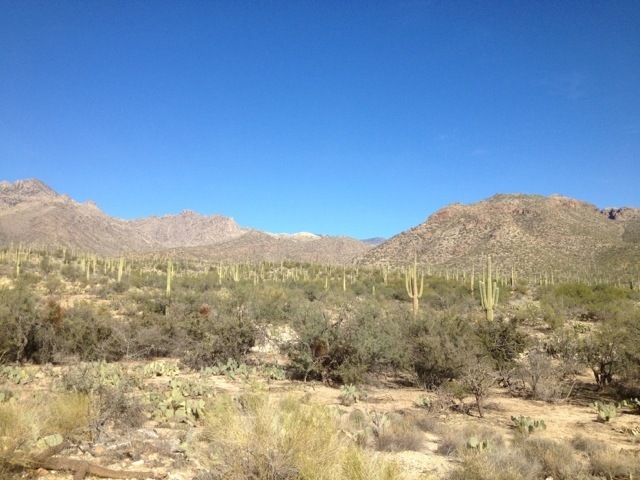 After an eight mile strenous hike through record-high heat (who would have believed it was December? ), I was exhilared and fatigued. It was a great hike and I can’t wait to do it again! Stay tuned…I am headed back to a wintery Minnesota tomorrow. I’ve heard that we finally have a few inches of snow and am looking forward to it! I am not looking forward to the cold January weather, though. Wow, you weren’t kidding, were you? A stunningly beautiful place! I’ve never been to Arizona. I would love to do this. Unfortunately I don’t like to be hot and I don’t like walking uphill. Then you can always take the tram through the canyon which is still equally beautiful! I would love to do more hiking when there for a visit. The catcus are attracted to me – ha! Thanks for sharing. Then you better watch out for the jumping cactus! They come right at you and hurt! My wife totally wants us to go to Tucson during her spring break. She went to college there and loved the area. Thanks for your comment! Tucson would be a great place to come on a vacation with your wife. There is a lot of hiking and tons of nice places to stay. I also love the Sonoran Desert Museum which I may do a post on when I get home to chilly MN. Gorgeous pictures! I would love to see it in person some day!